When you can’t be with your baby 24/7, it is comforting to know they have a treasured toy nearby. Of course, the safer and more practical the toy, the better for our peace of mind. This company, best known for these bright, beautiful baby wraps, now has a toy made from the same soft muslin that meets that brief. 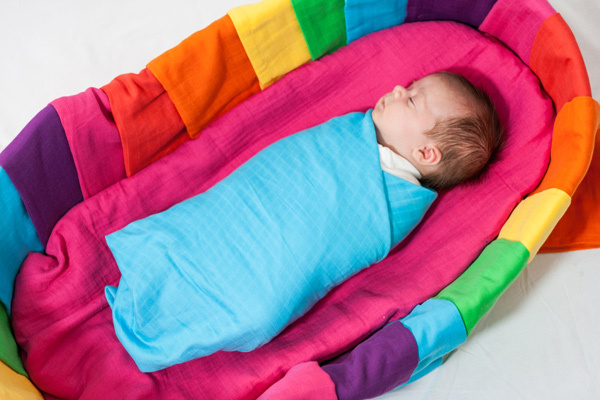 Faye & Lou, makers of the most delightfully bold rainbow-coloured muslin baby wraps, have come up with a snuggle toy made from the same signature super-soft muslin. 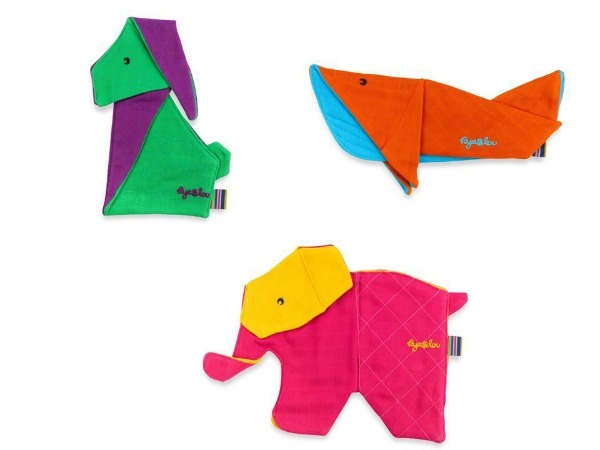 The colours are fun and stimulating for developing senses and the origami design of the animals provide amusement and exploration for curious little hands, while the toys are completely breathable and machine washable. There are three adorable characters in Faye & Lou’s range of muslin comforters. Ellie Elephant, Baxter Bunny and Winston Whale come in vibrant, contrasting colours that will be a hit with parents and babies alike. Muslins are also the perfect chew thing for teething babies, helping to bring relief to sore little gums. Founded in 2008 by two nannies with more than 40 years experience caring for babies, Faye & Lou is passionate about developing innovative products that support parents in their quest to give their kids the best start in life. While Faye & Lou specialise in muslin wraps that come in an assortment of refreshingly bold colours, their range also includes extra large muslins that are perfect for swaddling, a plastic lined, four way dribble bib and the breastfeeding butterfly – a nursing cover that is clever and stylish. Faye & Lou are based in the UK but do ship internationally. Due to the lightweight nature of the products, the cost of shipping to Australia is quite reasonable. Buy direct from Faye & Lou.